Last week I had the State of the Apps post, where I talked about the apps I am using for work. I thought a nice follow up would be a post looking at the plugins I am running in WordPress on this website. In general I try to keep the site pretty lean and not run to many plugins. If I can built something myself and code it into the theme instead of using a plugin I will almost always do it that way. There are however a lot of things that are either beyond my programming scope or beyond the time I can put towards them. So here are the plugins I’m currently running. Advanced Database Cleaner allows you clean up the WordPress database. Remove things like old post revisions, draft, trashed comments, and more. It can also help you removed orphaned data from plugins you are no longer using. For example on this site I had information in my database from the NextGen Image Gallery plugin which I was using many years ago, this plugin helped me remove all of that junk orphan data from the database. This is a very useful plugin to keep around. AJAX Thumbnail Rebuild lets you rebuild the thumbnails and images built by WordPress. It lets you do it step by step, so you can rebuilt just the thumbnails, small image size, the medium size, the large size, or the featured image. This is great if you edit the theme and need to rebuilt older images to be a different size to match the new design. Broken Link Checker is a plugin that scans all your posts and alerts you when a link you created is broken. This is for seeing if something you linked to no longer exists so you can edit the post and remove the link. It also checks and alerts you if images you added are broken and no longer working. I recently deleted some old image sizes created by WordPress and with this plugin I was able to find all the posts where images had accidentally broken as a result. Super useful. Coral – Remote Images is a plugin for developers. If you have a local copy of your WordPress site, meaning a copy running on your computer not on the web, this plugin will fix it so the local copy displays the images from the web version. This way all you have to do to keep the two sites in sync with one another is copy the database over from the web version to the local version. Allowing you not have to copy over and update the uploads folder all the time. This is really useful for anyone doing local development work on their website. Every photography blog should have this plugin. Lazy Load will help your site load faster by preventing all images from being loaded when you enter a post and instead loading them in one by one as they come into the browsers viewport. So many social networks so little time. Social Networks Auto Poster allows you to automatically share your posts on your social networks of choice. Redirection is a must have plugin for any website that has been around for several years. It lets you easily create URL redirects for your site. For example a few years ago I changed the structure of my website and all my blog posts went from having campanella.se/blog url addresses to blog.campanella.se addresses. Redirection allowed me to easily map the old addresses to the new ones so that no content got lost. Tag Cloud Shortcode allows you to insert a tag cloud into your posts or pages by using a shortcode. Theme Check is a great WordPress plugin for anyone who is developing their own theme. It lets you check your theme for any problems and helps you to make sure you are following and using all the latest WordPress standards for theme development. It’s a really easy way to see if your theme is missing elements or if you are using functions that have been deprecated. The Word Stats plugin gives you information about your writing. It has a page where you can see a summary of your writing based for the last 6 months. So you can see the words that appear most often. Inside the post editor it tracks how much you have written and which words appear to often. WordPress Database Backup is pretty simple. Install it and set it up to backup your database. Once a week it emails me a copy of the database for this website. This way if I ever need to restore the database I have something recent to go from. WP Limit Login Attempts helps protect you from hackers. There are a lot of people out there on the internet that scan for WordPress websites and then try to brute force their way. They go to the login page, and then run scripts to try and break your password. This is why it’s super important to not have a user named Admin and to always have a complex and secure password. This is one of those things that I think WordPress should build into the core. There should be no need for a caching plugin. Unfortunately that is not the case and you very much need make sure you have some type of caching plugin. I have been using WP Super Cache more or less since the beginning and have no complaints about it. It’s updated regularly and is very full featured. I have a bit of a love hate thing with Yoast SEO. So much of SEO feels like someone trying to sell you snake oil. I tend to think SEO is fairly simple. Make a website that is built properly and follows web standard. Then add content that is relevant and interesting to your area of work. The rest should take care of itself. I use this plugin mostly as a rough guide when creating posts. Can the title be improved? Is the post long enough? Can the meta description be improved? But like I said it’s just a rough guide and not a rule. So those are the WordPress plugins I am currently using. Eight years into this blog I figure that I’m pretty settled with this site and this list won’t change much in the coming years. 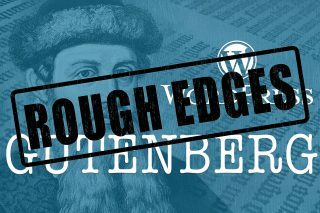 I like the Gutenberg post editor in WordPress but man does it have some rough edges. Plenty of bugs and glitches to drive you crazy. 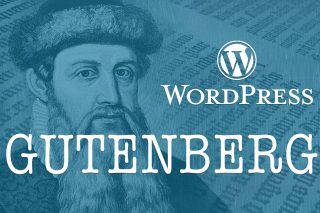 If you are at all plugged into the WordPress community then you have probably heard of Gutenberg by now. If not then this post is a great introduction.